I am SO excited about today’s post! It is part of the Freaky Friday Recipe Swap that I did with 12 of my blogger friends. We each were assigned a blog to make a recipe from and today we are ALL sharing our posts, and who we had! It’s been TOP SECRET for a month! I was assigned Sandra’s blog from The Foodie Affair! When I got my assignment, I was so excited I literally squealed! Sandra has one of my favorite blogs because she is as sweet as pie and everything she makes looks out of this world delicious! I spent several hours over the past month, looking over her site and browsing the recipes one by one. It was SO HARD to narrow it down to just one! Some of my favorites that I can’t wait to try were ‘The Bomb’ Potpie, Chicken Divan Stuffed Shells in Dijon Sauce, and Peanut Butter Chocolate Bars. 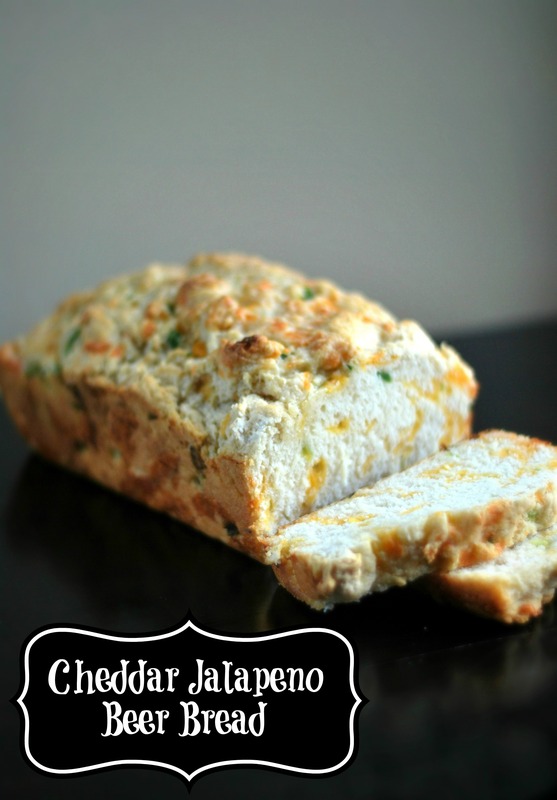 It was so incredibly difficult to choose just 1, but after getting around 10 inches of snow in our house one day last week, I decided on her Cheesy Jalapeno Beer Bread to go along with soup! It was amazing! This was my first time making beer bread and I can guarantee you, it won’t be the last! 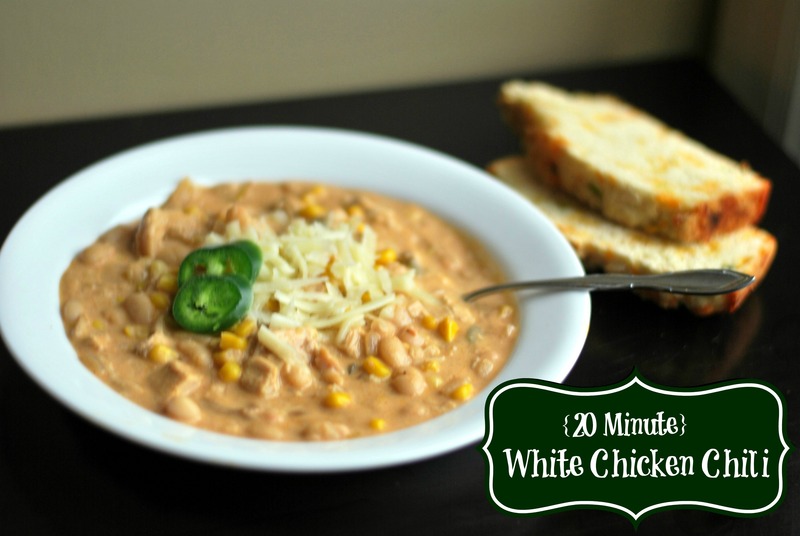 Not only is it insanely delicious, it is also ridiculously easy! You gotta give this one a try! Preheat oven to 375 degrees. Grease a 9X5 inch loaf pan with butter and set aside. Whisk together flour, sugar in a large mixing bowl. Add beer and stir until moistened. Fold in cheese and jalapeño. Put into prepared loaf pan. Bake for 40-45 minutes or until a toothpick comes out clean. Remove from oven and top with 2 tablespoons of butter. let it melt. Cool for 10-15 minutes before removing from pan and slicing. This looks incredible!! Not only is it beautiful, I bet it was delicious! When Sandra’s blog was drawn for you, I knew you would be ecstatic. Glad you had fun!! Whoa, that combo of the bread and chili looks mind-blowingly good! This looks so amazingly perfect. And paired with chili!? I want to sit down and enjoy some of this right now! I may need to make a loaf of this over the weekend with some chili, looks awesome! I can tell you right now that I am going to be making that bread! 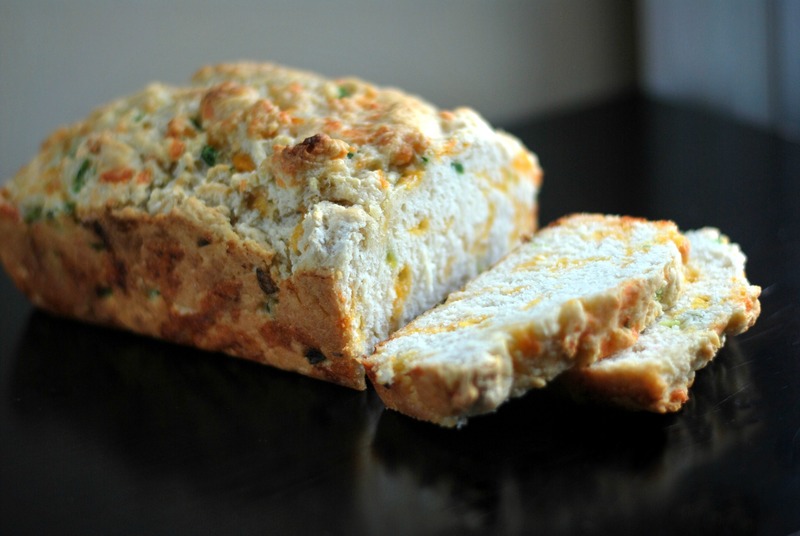 Beer bread is so good and adding cheese and jalapeños…I am all over that! This beer bread looks fabulous! Perfect for serving with chili like this! So awesome! What a great recipe to choose for Freaky Friday! Carb me up!! Perfect for all of the soups we’re eating. Just a great recipe all around! Three of my favorite things in one loaf! Sounds like I need to make a batch and grab a bowl of soup too.